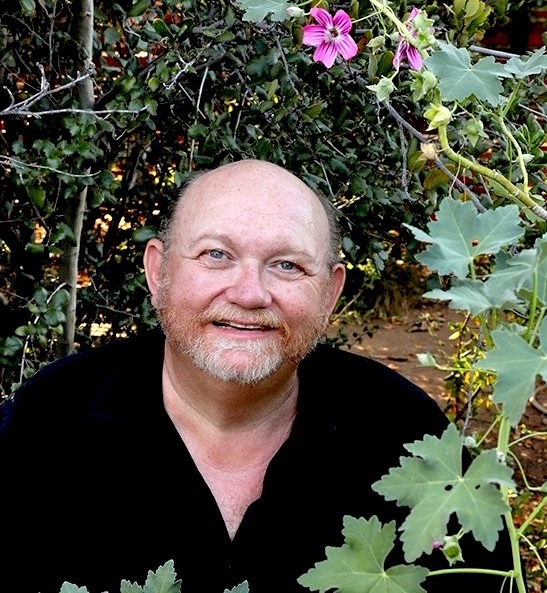 Dennis Mudd is a self-taught native plant enthusiast who founded Calscape in 2010 with the goal of enabling small scale nature restoration efforts in California. The site is primarily focused on showing homeowners which plants are likely native to any location in the state, and helping them figure out ones they want, where to buy them and how to grow them. Mudd donated Calscape to the California Native Plant Society in 2014, and is currently leading development of the site in partnership with CNPS and the Jepson eFlora group at UC Berkeley. The site is now approaching one million unique users per year. His native garden in Poway won San Diego Home and Garden’s Garden of the Year Award in 2012. It will be featured on the CNPS-San Diego Garden Tour this year. What pointed you in the direction of gardening with California native plants? For me, it started with mountain biking through the natural areas of San Diego. The more time I spent in nature, the more I wanted to recreate it in my own garden. What, in turn, led you to create Calscape? I enjoyed my own nature-restored garden so much that I decided to create Calscape to help more people do the same thing. I hoped that Calscape would help many more people create little patches of nature throughout the developed part of the state. If enough people restore nature in their gardens, we can mitigate and even reverse localized extinctions being driven by development. What kind of animal life does your garden attract? I was astounded by the amount of bird life that my garden attracted; I've counted over 50 species in the last few years. The number of butterflies is also amazing. If you like birds and butterflies, you should plant a native garden. What was your initial vision when you created your native garden and what direction, perhaps unexpected, did it take? My vision hasn't changed that much over time, but I learned a lot along the way and gradually learned the importance of planting natives that are endemic to where I live. I found that cultivars and even plants that were native to the coast or farther north in California often died in the hot Poway summers, and they didn't really feel like the nearby nature I saw anyway. My nature restoration efforts really only started to work successfully after I switched to all endemics. Is there an overall system that you think is superior for selecting plants to group together whether it be by plant community, watering needs, exposure, etc? First, grow plants that are endemic to where you live. Then make sure you are planting them in a site with the sun exposure, soil drainage, and moisture conditions in which they occur in nature. People can get the information they need to figure out which plants belong at their geographic location and in their specific site conditions at Calscape. How we talk to others about the value of California native plants is important if we want to send an impactful message. What would you say to someone who has just seen or heard about native plants and has them in their consideration? Restore nature one garden at a time! I don't think there is any garden as beautiful as nature. Interested? Contact Kristen Wernick, Outreach Coordinator, California Native Plant Society for more details. New CNPS-SD Internet TV Show- Go Native! “Holy cow,” I thought, “there’s a bobcat in my backyard!” I watched as she emerged stealthily from the dense foliage, deftly clamped her jaws around an unwitting Mourning Dove, then trotted off into the wildlands with her limp prize. The thrill of seeing this elusive animal stalking prey on our property in broad daylight made the months of hard work all seem worth it. Promoting biodiversity, re-creating wildlife habitat and re-connecting with nature were primary motivations for planting California natives on our 1+ acre property up in the hills west of Lake Hodges. To our delight, it was working. Admittedly, conserving water was a key driver for us as well. Faced with a $430 water bill in June 2013 after our first month in the house, we knew that the expansive lawn and overgrown non-native vegetation had to go.